Home GuidesEducation Is Formal Education Necessary for Entrepreneurs? “What’s the benefit of college if I’m already making real money?” A question tossed out often on webmaster forums and gathering places of young entrepreneurs, it strikes at the core of one of the most entertaining debates in the online world – do young entrepreneurs need college educations? What’s the value of class time for those who are already earning more than their degreed counterparts? Not surprisingly, the answer has less to do with money in the near future and more to do with future value. A generation or two ago, a college degree was sought by roughly a fourth of the United States graduates. 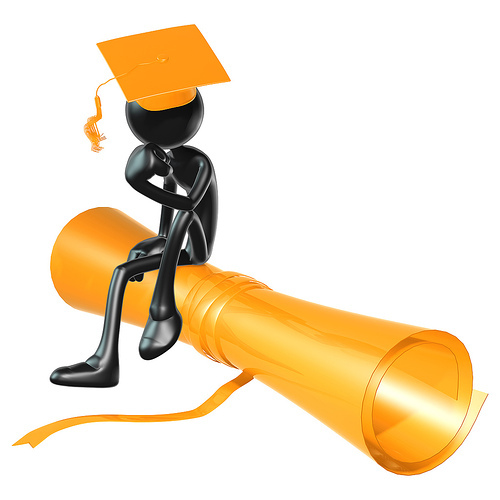 Today, 70 percent of high school graduates are attending a college or university. This significant rise has been fueled by a reduced number of entry-level careers available without a degree and more career fields requiring a college degree where they once did not. A retail assistant manager, for example, requires a college degree today where twenty years ago, the position was awarded solely on management ability and experience. To meet demand, universities are springing up everywhere offering more degrees than ever before and more companies are requiring one as an entry for employment – even if the job doesn’t even remotely match the degree plan. The quality is questionable for some of these degrees as well with the rush to get students out the doors with diploma, any diploma, in hand. Entrepreneurs have never needed a degree to make money per se. There is money to be made online and a piece of paper with a university seal is not going to make earning conversions and commissions any easier necessarily. Outside of your current earnings, however, a college degree can make your professional life much easier and – dare we say it – better. A university degree is a key to most salaried jobs today, especially those in a computer related field. If you’re content at home making enough to pay the bills plus some you might not be thinking of a worst-case scenario. The reality is unfortunately that most entrepreneurs see as many financial downs as they do ups. 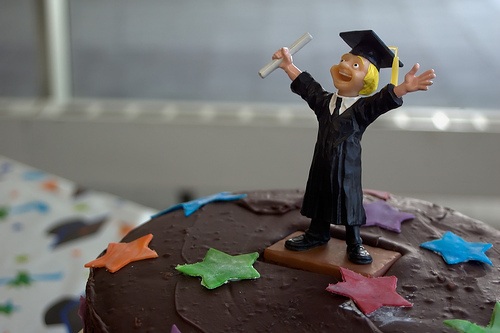 For many marketers, a college degree is a large part of a fall-back plan. It’s hard to imagine it when commission checks are coming in, but it’s as easy to lose money as it is to make money online. If you fall down far enough, you’ll need money immediately, and you’ll likely earn it with the sort of job that likes its employees to have a degree of some kind. If you don’t have the sacred piece of paper, you might struggle to get in the door when you could easily do the job of three of their current employees. There are jobs out there you might be able to earn without having a degree, but if your fallback plan is to do a bit of SEO for local companies, for example, those companies will like to see your years of experience coupled with a bit of formal education. It’s simply an acceptable professional standard. If you’re making more money that you ever dreamed of, taking time out of your busy workday to consider coursework seems more hassle than reward. However, there are courses and degree plans that will give you information and instruction not available without the world of pure academia. Even online universities can’t replace the element of learning that comes from classrooms full of spirited discussions about finance and business case studies. There is no substitute for getting your hands dirty with science and engineering experiments. Entrepreneurs exist in every facet of industry – especially ones specific to certain industries. If you like the feeling of owning your own business and calling all the shots, learning from experts in a field will give you new information, new contacts, new ideas and new opportunities to build with over time – fuel for success long-term. If you’re considering dropping out of a college program or have yet to start, one you’re wasting the best years for education. Coursework for four years may seem insufferable now, but it will be much worse if you’re trying to make up time later when you don’t have money to burn. Earning a university degree while you’re young is ideal. You’ll have the basic requirement for most standard careers if you need to change paths down the road. Your time now is virtually uncommitted outside of your own ventures – this is certainly not the case once your reach an age that family is a factor. Best of all, committing yourself to university coursework on even a part-time basis will give you endless opportunities to network, brainstorm and start new ventures based on the information and skills you’re learning. There are many eloquent arguments out there for entrepreneurs to skip a university education if they aren’t inclined to take the plunge now. These arguments are right that the internet is a leveling ground letting us all compete on equal footing. However this is true only at certain levels in certain fields. There will likely come a time in your career that you don’t want to stay there – you’ll be ready to move to a more professional niche. And in most cases, to move on you’ll need a diploma and the connections and skills that come with it as your ticket in. What Type of Online Shopper Are You? Good article. Thanks for sharing. Everyone is different in how they learn, where they are in life, and what their financial needs are. When I got laid off, I took the opportunity to pursue my “side job.” I met with school counselors and decided NOT to go back to school. So far, it has worked well for me. Next month will be the third anniversary of my business, Fletcher Freelance.